Willow Point Park at Howard Prairie Lake covers a total of 59 beautiful acres, includes .87 miles of lake frontage and a majestic view of Mt. McLoughlin. 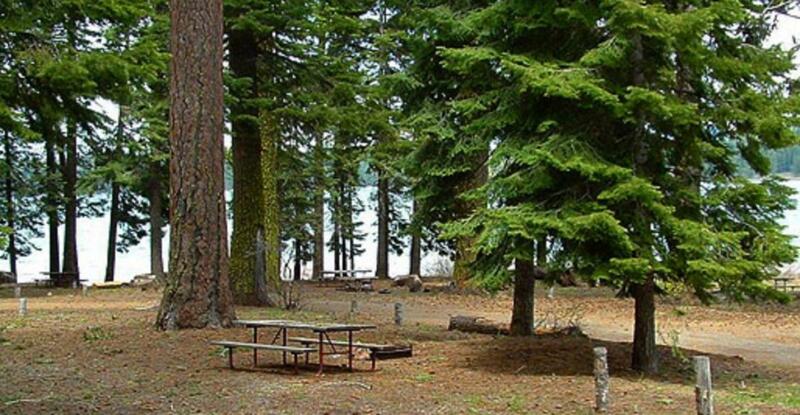 Surrounded by the forests of the Cascade Mountains, Howard Prairie Lake is a popular destination, offering an abundance of recreational opportunities, and has some of the best trout and bass fishing in Southern Oregon. This picturesque park provides numerous activities such as camping, fishing, boating, hiking, swimming and an excellent opportunity to get away from it all. With prime lakefront sites and an extended boat ramp facility, including a fish cleaning station nearby, Willow Point Park offers all the makings for a fun-filled day trip or relaxing camping weekend.